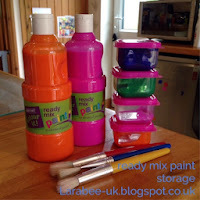 Do you use ready mix paint with your little ones for their painting activities? 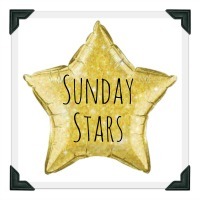 I do, but I do get a little frustrated bringing out the big bottles each time, then pouring some out onto a dish and washing quite a lot away after T's finished. 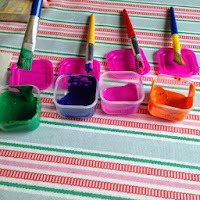 T and I did some painting this weekend, instead of pouring some paint onto a plastic dish I found some small square plastic containers that I'd bought at poundland (for the record - fast becoming my favourite shop!) 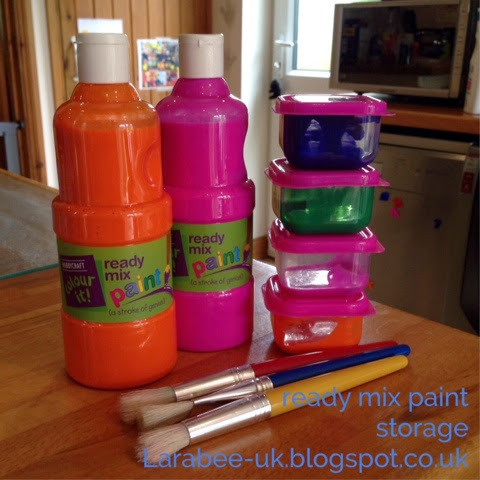 these proved to be perfect for storing a small amount of paint and the small size means I can store all the large bottles out of the way and just keep our paint 'pots' handy. 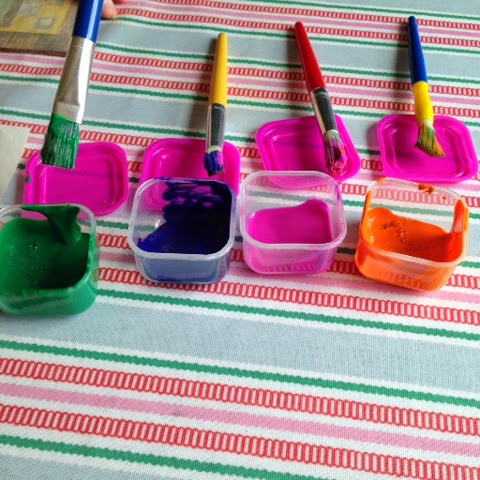 The lids proved to be a very good rest for the paint brushes too. I'm so pleased that I looked in my 'tuppaware' cupboard for something to use as our paint is all nicely organised... now I've just got to find somewhere out of 'Ts reach to keep them!